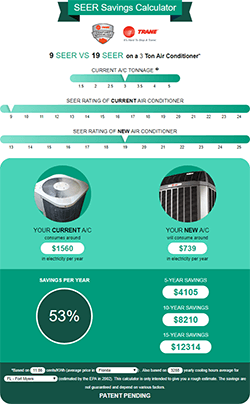 If you enjoy being able to rely on your air conditioning equipment to keep your home comfortable all year long, then our AC Maintenance Program is right for you. Becoming a member of our AC Maintenance Program means that your equipment will be properly maintained and working at its maximum energy efficiency, resulting in an extended lifespan for your air conditioner. Plus, if your system does break down, you will receive priority service and specially discounted trip and repair charges. …then we would like to invite you to join the thousands of homeowners in the community who enjoy peace of mind knowing their equipment is working safely and efficiently — for one low package rate. Call (941) 474-3691 or request information on how to sign up for our Residential AC Maintenance Program today! Here is the list of equipment we check and services we perform for our Residential AC Maintenance Program customers. The items in the air conditioning and heating columns are performed at each inspection (once or twice a year, depending on your package). Pricing and packages are subject to change without notice. Custom rates and packages are available on request. Call us today to sign up for our AC Maintenance Program! If you live in Sarasota County or Charlotte County, Florida, call (941) 474-3691 today to sign up for our Air Conditioning Maintenance Program. Fill out and submit the form below and our friendly staff will help you get signed up. Hello Ted - I am writing to say how pleased my husband, Robert, and I am with the service provided by your company. Your staff is well-trained, professional and efficient. We are happy with the new air conditioning and upgraded heating system that you installed in our home. Just wanted to say thank you for your wonderful service. Linda and Robert P.